I have found this wonderful tutorial by Mary Corbet on an embroidery stitch called Turkey stitch. I had never heard or seen this before. I think it would be amazing as grass in between a flower border on an embroidered piece. I am going to be practising this one later. You could make a fantastic garden in embroidery with this...... Or a bee! 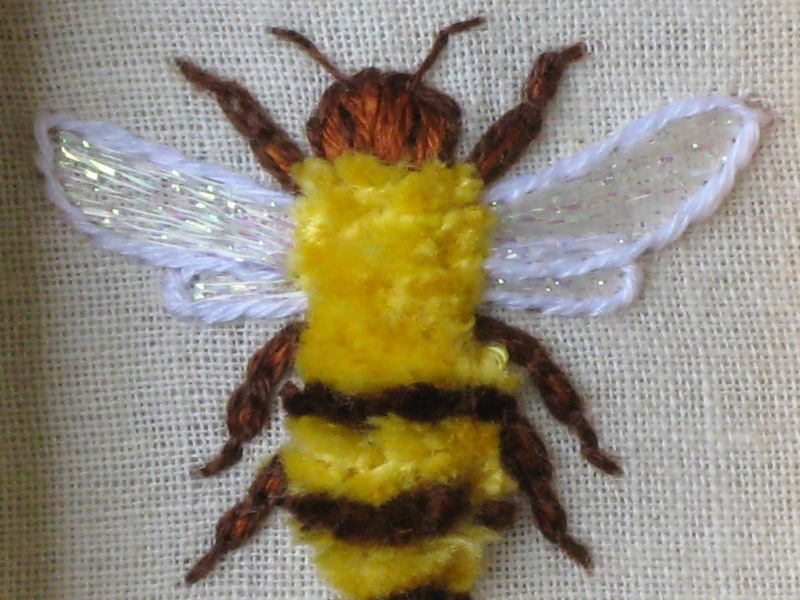 yes I found an amazing picture of a bee worked in this stitch, it is not my work and I am afraid I do not know who to credit it too but Wow! Watch the tutorial it really is worth learning this stitch. The possibilities are endless!.... Happy Stitching!